Paul Burton is an Occupational Therapist with over 15 years experience of working in the field of mental health. Paul has worked in a community mental health team, a primary care mental health team, a rehabilitation unit and an inpatient department. He has also worked as a family therapy practitioner. Paul studied for his Occupational Therapy degree at Exeter University. 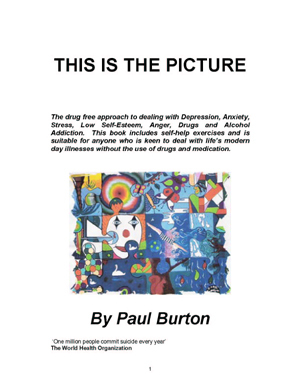 Paul has always been a keen advocate of therapeutic group work and has not only delivered but has also constructed groups in; Assertiveness training, Anger management, Anxiety management and coping with depression. Paul’s inspiration for this book came from some of the clients that he has worked with, by combining relevant information with practical exercises and drawings, clients can immediately start to put positive pro-active strategies into place. “This is the Picture” has been carefully designed to help the reader to gain the maximum amount of benefit from the information provided. At the top of each page you will find two blank boxes that are provided for your drawing pleasure. Your drawings could range from black and white stick men to fantastically coloured and detailed works of art; it really does not matter just so long as the drawings represent something meaningful to you. When we are depressed or low in mood we often struggle to verbalise our true thoughts and feelings, drawing pictures can help us to clarify our true feelings and help us to express ourselves in a safe and meaningful way. We can get in touch with our inner struggles and start to make some sense of our lives and where we are currently at. Artistic expressions can also act as a mediator between our inner and outer world, our pictures can not only help us but others too, to make sense of our feelings thoughts and behaviours. By drawing out our emotions we can sometimes learn to understand the frustration and bewilderment that so often arises when we are suffering. Drawing can supply us with creative solutions and help us to clearly identify any problem areas that need further work. Combined with easy to follow practical exercises that are designed to help the user tackle specific highlighted problems; “This is the Picture” is far more than just a comprehensive self-help book that attacks the issues from every angle. It is a highly original and effective treatment package in its own right. This book is designed to help absolutely everyone. It is not purely aimed at people who are currently suffering from mental health problems, such as anxiety and depression. It is also designed to help people prevent the onset of depression and mental illness, and to enable everyone that reads it to make the most out of their lives, whether they are currently unemployed or are the managing director of a major company. In short, it is a recipe book for life, a guide to help you avoid a lot of the pitfalls that threaten us all. A book that will help you to get to know yourself, and to understand yourself enough to know exactly what you want to get out of life. It will give you the necessary skills needed to plan and execute a path to your full potential so that you can enjoy your life to the full. The advice laid out in this book relates to all of us without exception, so keep it on your coffee table or next or your bed. 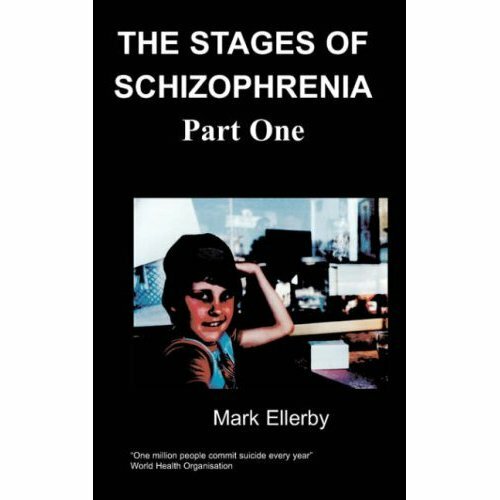 Take your time reading and digesting the information in it, because this book could not only change your life, it could also save your life!